MATTHEWS: Welcome back to HARDBALL‘s live coverage from the University of Miami. Donna Shalala was secretary of health and human services during the Clinton administration. She is now once again a college president, here the president of the University of Miami. MATTHEWS: You must feel like Sally Field here. Everybody likes you. We are here in Oxford, Ohio, the home of Miami University. Is that right? DONNA SHALALA, PRESIDENT, UNIVERSITY OF MIAMI: No. MATTHEWS: Oh, we‘re here at the University of Miami. Thank you. SHALALA: I am in Florida. MATTHEWS: I know. It‘s fabulous. Let me ask you about your reading on this state. It was the key state in last year‘s election, the election of President Bush. Do you think it‘s going to be close again? SHALALA: I think it‘s going to be close again. But one of the things you have to learn here is because of the hurricanes we‘ve just gone through, the people of Florida are just starting to focus on the campaign. And that‘s why the debate is so important here, because we‘ve been focusing on those hurricanes and on human life. MATTHEWS: What does living in a hurricane avenue do to a person, living under the stress down here? MATTHEWS: We‘re watching it and hoping and praying for the people to get through it, but it seems like these come one after another now. MATTHEWS: Do you hold school here every day during one of these? Or how do you do it? SHALALA: We actually had to cancel classes for two days and basically lock up the students. MATTHEWS: Right. An amazing place. Anyway, let me ask you about this election and this debate tomorrow night. How did you afford this? These debates are expensive. Actually, our partners are the Miccosukee Tribe of Florida. And I went to them and asked them whether they would be prepared to underwrite the campaign. I did not want to sell tickets the way some people have to individual big donors. MATTHEWS: Now, what do they get out of it, the tribe? MATTHEWS: Will there be product placement? MATTHEWS: Will be there no adver—just interesting that we have reached a point in our country where we have so much money in campaigning now. SHALALA: There‘s no advertisement in the hall. SHALALA: They are paying for it. But they didn‘t ask us for very much. They have a reception area on campus. There are no signs in the hall. And while they‘re going to get some seats, obviously, it was a civic contribution from them to the University of Miami, but, really, to the people of South Florida and to the people of Florida. There‘s great pride in doing this. MATTHEWS: Why is it important for your university to go to this effort to host this? SHALALA: Well, No. 1 is that young people don‘t vote in very large numbers. And we thought it was an opportunity to get students interested. And, after all, this debate and election is about their future. It‘s not really about my future. It‘s about their future. How many people here are registered to vote? MATTHEWS: You know what? I thought I was in “Lawrence of Arabia” there for a minute with this crowd. MATTHEWS: I‘m a river to my people. What was that about? MATTHEWS: How many people are not registered to vote? SHALALA: We‘ve been running voter registration campaigns. The hall where the debate will take place is a precinct. MATTHEWS: Can I do this again? This is fun. How many here are for President Bush? UNIDENTIFIED MALE: It‘s Kerry time! MATTHEWS: How many here are for the Democratic candidate, John Kerry? CROWD: Kerry! Kerry! Kerry! Kerry! Kerry! Kerry! Kerry! MATTHEWS: ... for the president. I would call that one for the president, if I were speaker of the House? SHALALA: These students are registering. And we‘ve been running big registration campaigns. We‘ve had lots of speakers on campus. SHALALA: And we built a whole educational program. MATTHEWS: How many think tuition is too high? MATTHEWS: That was too easy. How many love this place? MATTHEWS: God, I feel like I‘m Pat Buchanan up in here with this stuff. Anyway, let me ask you this. Let me ask you this. You‘re an educator. You‘re a sports nut. 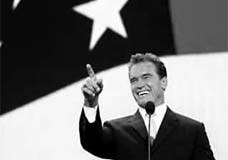 You‘re all those good things for America. Tell the American people watching right now, as an educator, the importance of this election and tomorrow night‘s debate. 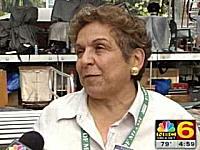 SHALALA: Well, I believe this election is really about young people and about their future. It will determine the quality of their jobs in the future, whether they have to fight wars or not in the future and what kind of opportunities there are for everyone in our country and everyone around the world. This is a very important election. And that‘s why young people are registering on college campuses. They‘re going to vote. We haven‘t told them who to vote for. SHALALA: We simply have said register. Anyway, thank you, Donna Shalala.